Maybe I just have too much time on my hands to sit at my laptop, and maybe I'm so green to blogging i'm overzealous and spreading myself thin... but I found myself joining and volunteering left and right! Anyway, I decided to join in the fun for the 100 Quilts for Kids by taking part in a Quilt Along! Swim, Bike, Quilt is hosting a quilt along to help bloggers out and theres all kinds of incentives (totally unnecessary, but totally fun) as perks! 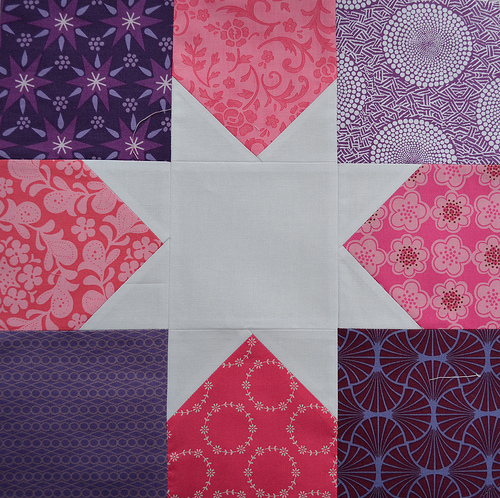 She has also teamed up with a quilt shop to offer discounts for backing and charm packs for the quilts! I also came across another awesome cause So Sarah Sews is organizing to make quilts for foster children. She is asking for help to make blocks (1-2, whatever you can do) in pink and purple. Contact her to sign up, and in the meantime check out all the blocks that have already been made! 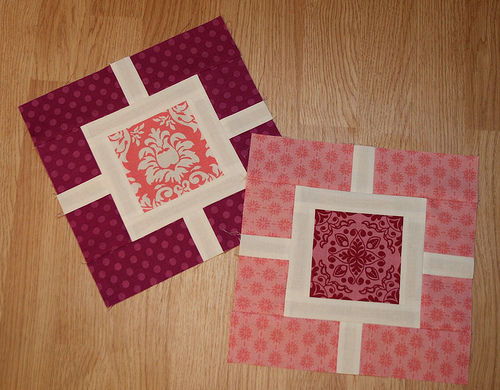 Pictures of the blocks from So Sarah Sews that are being made for the quilts. So, if I've inspired any of you to get involved the way that I was inspired then awesome! I'm so glad you joined Quilting for Kids! Sarah is going to have those done in no time with all the help she is getting. I really need to get on my quilt for 100 Kids, too. I think I'm right there with you on spreading myself a little too thin this month! Stay safe!